All things skincare, green beauty and beyond! As with every post that will come this month, this one is painfully overdue. My personal life took a bit of a turn after the summer (more on that here) and anything extracurricular went out the window, including writing about this, which I had been so excited to do. I have hinted about this review on Instagram for months now (so sorry!) 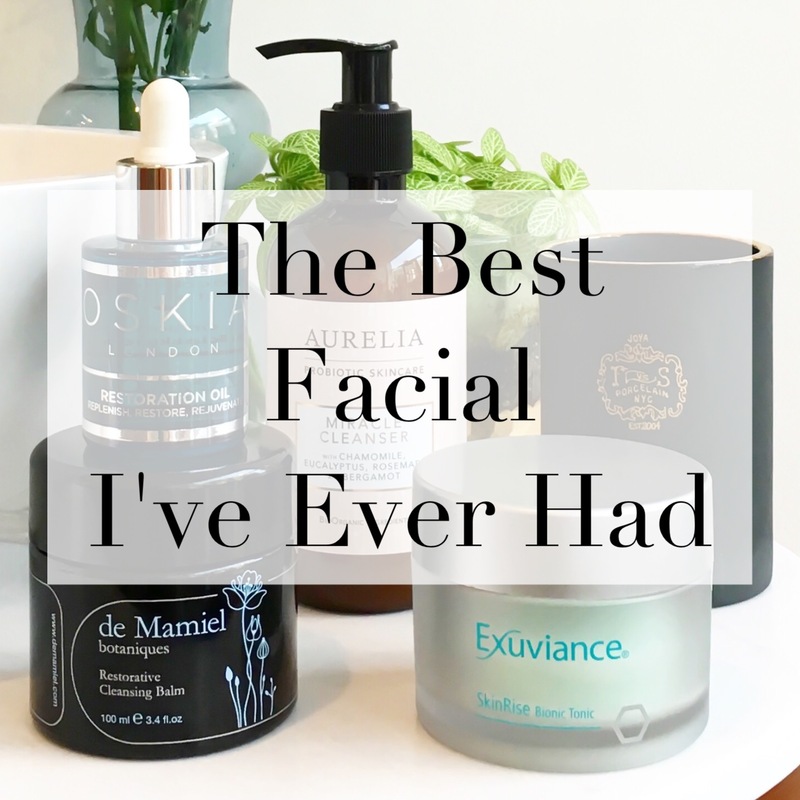 and included the shop in my recent Top 10 Niche Retailers post, but now it’s time to dive into the details of the best facial I ever had. 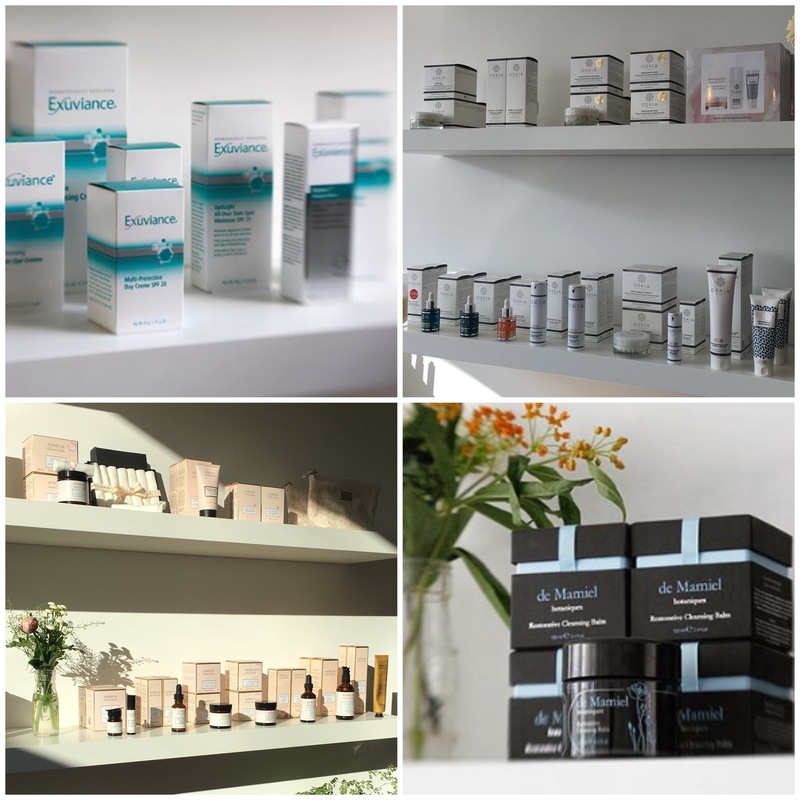 I am so happy to finally be sharing this post with you because Mortar & Milk is a true hidden gem in the London beauty world and Pamela Marshall (co-founder and Aesthetician) is a skincare legend in the making. Facials are something I have struggled to enjoy or see results with ever since I was a teen. Back then I remember being so excited and “grown up” to be going for something so “fancy”, but the experience was horrible (I feel like everyone had this happen to them as a teenager, right?) and I left with skin that looked worse than when I went in and with a bag full of products I was bullied encouraged into buying, which only wreaked further havoc on my skin. I remembered being terrified of letting anyone near my face again and it wasn’t until many, many years before I braved another facial treatment. Luckily for me, during my late teens and early to mid-twenties my skin was fairly normal and I had no interest in doing any treatments anyway, but all that changed when my health and then skin went haywire (you can read more about that here). I was completely lost, depressed and desperate and spent a year going for facials and treatments with specialists, doctors and “experts” (many of them in London) that either cost hundreds of £/$’s and did absolutely nothing or worse, completely ravaged my skin. It was a dark time and it actually makes me emotional writing this now because it takes me back to a time when I felt so vulnerable and tricked, and couldn’t understand why these so-called professionals were taking advantage of me instead of helping me. After that period I started doing lots of research and eventually turned things around for myself and I didn’t have a facial or anything like that again for about two years. I’m giving you this back story so you know that when I say “best facial ever” I am not exaggerating and whole heartedly mean it. Over the past 18 months I have started to feel more comfortable and confident going for facials and treatments and I have been lucky enough to experience mostly great ones, but this was by far the best. This is the type of experience and results I have been dreaming about and how it should be when you go for treatments. Now on to the actual facial! I was invited in by Pam to check out the recently opened Mortar & Milk and when I arrived I was immediately struck by how beautiful it was in there. 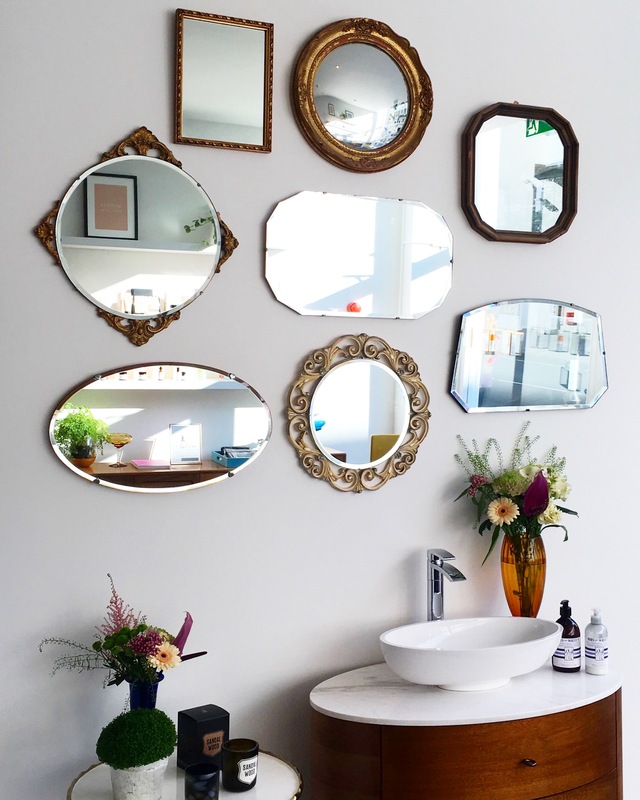 The shop looked more like a gorgeous flat, rather than a retail space with a “living room” area, marble countertops and dark wood floors, as well as the most drool worthy bathroom sink set up. 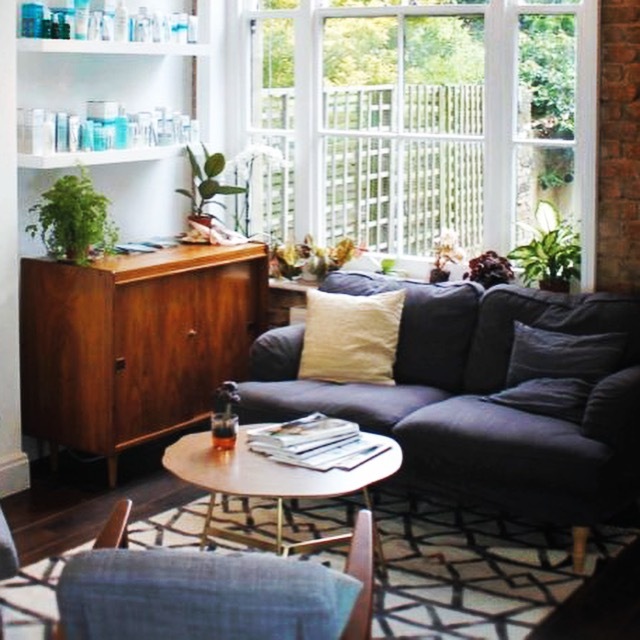 The space is light, bright and airy, yet still has a cozy, inviting and relaxed vibe. I was welcomed by the lovely manager Ruth while Pam introduced a couple of sweet pre-teens to the Sam Farmer brand. Once down in the treatment room, which is spacious and bright and looks more like a chic bedroom than clinical room, Pam and I ended up chatting for about two hours before we even got started. We talked about everything from how I got into blogging, why she opened Mortar & Milk, our skincare journeys (Pam suffered with acne as a teen), California, London living, the beauty industry and so much more. The thing you will quickly discover about Pam is that not only is she so easy to talk to, but she is so easy to listen to, if that makes sense. She has such a dynamic, passionate energy and I seriously could have sat there listening to her all day. She made me feel comfortable and welcomed and like I was talking to a friend. Eventually we focused on what we were there do and talked about my lifestyle, skin history, issues and goals before she took a closer look at what was going on. She used the Observ 520 analysis machine and this helps to give a more in-depth and accurate below the surface skin diagnosis. This information is then stored to track treatment progress, but it is also used to provide targeted treatment options and advice. I discovered my skin was drier than expected, I had hormonal pigmentation buildup around my chin and a chemical peel from two years ago had left it’s mark and not in a good way. I also had some underlying congestion despite having small pores and no wrinkles (yay!) and needed to pay more attention to my very dry undereye area (still trying). Every client that comes in must have this consultation before getting any treatments and it’s the reason why the facials are completely bespoke. Pam doesn’t believe in prescriptive, “one size fits all” treatment menus and everything she does is specifically for you and your skin. Once on the bed Pam gave me a thorough and glorious cleanse using a mix of (wait for it) de Mamiel Restorative Cleansing Balm and Oskia Renaissance Mask (and an Exuviance cleanser but I can’t remember which one). The scent was incredible and this is where I fell in love with de Mamiel. 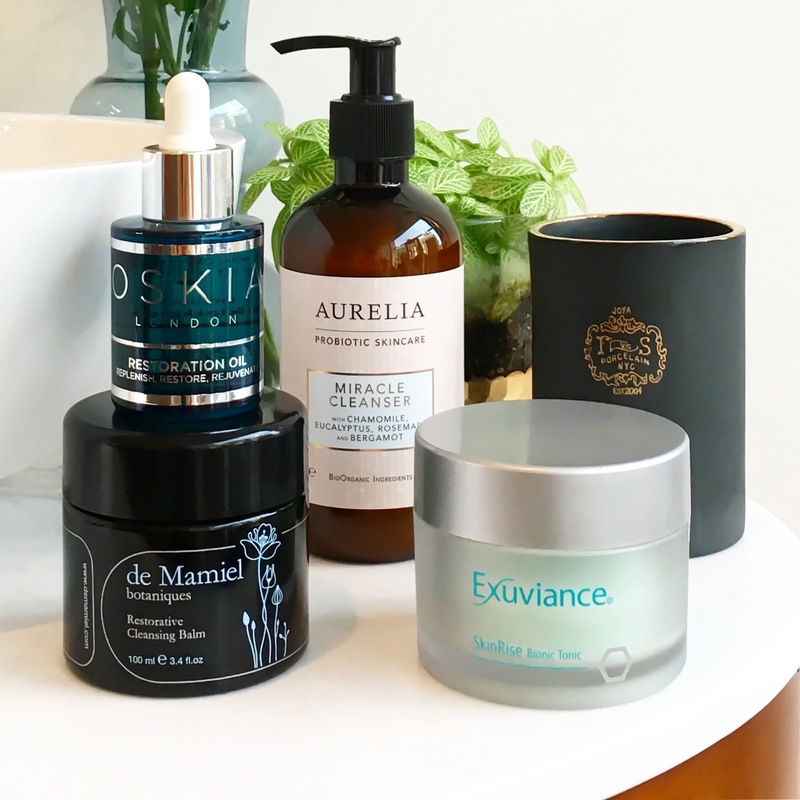 Pam has been friends with Annee (de Mamiel) for years and even though I had heard of the brand before, I always thought the products were too nourishing for my combination/temperamental skin and not targeted enough for my issues, but I was so wrong. This type of experience/discovery is exactly what finding a good aesthetician can and should do for you – I was introduced to a product that is now one of my all time favourites and gives me the most satisfying end of day “shoulder sag”. I sigh, can’t help but smile and completely relax, letting the day melt away when I use the de Mamiel balm and it’s all thanks to this facial. I can’t imagine how long it would have taken me to try de Mamiel on my own, but thanks to Pam I am now officially obsessed. Next came the “active” portion of the facial and this is where I was introduced to one of my new favourite ingredients, Exuviance’s Lactobionic Acid (PHA). Before discovering this I had started to realize that acids and regular use of them were not good for my skin. Lactic is a complete no-no as I am allergic, glycolic gives me good results but is also irritating and while salicylic works extremely well for me, it can also be very drying with too much use. Because of this I was skeptical of having a high strength (20%) chemical peel but I already felt comfortable enough with Pam that I decided to give it a go and I am SO glad I did. First came a peel of mandelic acid layered with glycolic and then a mix of PHAs. It tingled while on the skin but wasn’t uncomfortable and once removed there was absolutely no irritation. Lactobionic Acid is truly an incredible acid and again, it’s a discovery I would not have made without Pam. I don’t think I would have ever considered using a “clinical” brand like Exuviance on my own, so I am very thankful for the introduction. They have one of the very best products I have ever used with results that made me do a double take in the mirror after the first time I used it. That story will be on the blog soon in a dedicated post all about the brilliant (and underrated, IMHO) Exuviance and PHAs aka the best acids, so stay tuned for that. The last part of the facial was all about soothing, hydrating and refreshing the skin and the best part about it was she used products from brands I already knew and loved like Oskia and Aurelia, which made me very happy. This is one of the things that makes getting a facial at Mortar & Milk so special. Many dermatologists/doctor’s clinics will only have cosmeceutical brands like Exuviance, Neostrata and Priori (hated), so you miss out on the beautiful experience of having de Mamiel products used on you during the facial (and trust me, it’s beautiful), then holistic practitioners will only use green beauty brands meaning you might not get the same level of results, which is what happened to be when I had a very lovely but not that effective Tata Harper facial. With Pam you get the best of both worlds as she expertly blends the two different skincare philosophies for a perfectly bespoke facial that you will be hard pressed to find anywhere else. We didn’t do any extractions that day because I didn’t really need them and at the end of it all my skin looked visibly brighter and clearer, but more than that it was calm, balanced and happy and I felt good about the whole experience. Afterwards we went back upstairs to the “living room” where we chatted more over wine and all of a sudden it was 5 hours later and time for me to go. Over the next fews days my skin continued to reap the benefits of the facial and I was over the moon with what I was seeing (until this happened) and couldn’t wait to go back. Since then I have been lucky enough to spend more time with Pam and get to know her better and she is truly one of a kind. I won’t go into too much about her background as she explains it all very well herself (here) but I will say that she has been in the industry for close to 15 years, is a Level 4 Clinical Aesthetician qualified in both the US and UK and has a MBA degree in Global Business. She has also worked with industry luminary Tracy Woodward (current Aromatherapy Associates CEO and CEW Board Member as well as former Harrods Urban Retreat Commercial Director) and has worked as a beauty brand consult for retail partners like Harrods, Selfridges and Fortnum & Mason. Opening Mortar & Milk was a long time dream of Pam’s and a labor of love in order to give consumers a better shopping/treatment experience and she has succeeded. As I said in my retailer’s post – no other retail space has a vibe like this and Pam knows her stuff. Oh, and she now has the cutest puppy that I’m so excited to meet! Facials can seem like an unnecessary added expense or a luxury that is hard to justify, but when it comes to good skincare, they are an integral part of your routine. Unless you have persistent issues that need correcting or can afford it, I don’t think you necessarily need to get a facial every month like some say. On the other hand, I do think that regular quarterly or bi-annual visits would be massively beneficial to track the progress and results of the products you use (has that serum really helped with pigmentation/is your new moisturizer clogging your pores?) and also give your skin a boost to keep it on track. We in this lovely little skincare community spend a lot of money on products and visiting an Aesthetician every now and again would be a great way to make sure the money we’re spending is actually doing something, because good skincare goes beyond what we can see on our faces. Mortar & Milk’s treatment menu includes bespoke facials, chemical peels, LED Light Therapy, Dermaroller and Non-Surgical Blemishes Removal (veins, tags, milia etc) and prices range from £50-£300. I plan on going back for another chemical peel and possibly LED Light Therapy and I can’t wait. If you live in the London area or have a trip planned then you have to check out Mortar & Milk. Pam is everything a good aesthetician should be – supportive, knowledgeable, intuitive, passionate, encouraging, respectful, compassionate, enthusiastic, kind, generous, welcoming, hilarious and above all, a joy to be around. There are not enough superlatives to describe her and I promise, you will not regret popping in. 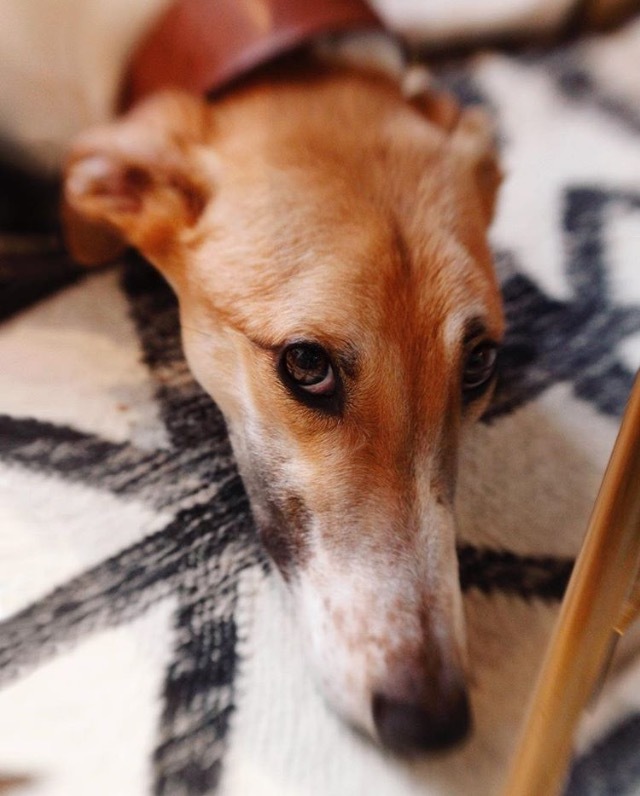 Along with her lovely husband Nick (co-founder, Creative Director and expert photog), Ruth (Store Manager), Sofie (Assistant Manager) and now Blitz (puppy! ), Pam has created the ultimate chic, niche beauty destination and you will not meet a nicer, more welcoming group of people. If you’re looking for a place where you can shop in peace (you can check out the brands they stock here) and/or get a results driven facial tailored to your specific needs using the best brands in the industry (the dream) then Mortar & Milk is unequivocally the place to go. Mortar & Milk is located at 793 Fulham Road, SW6 5HD, London, United Kingdom. Tel: 020 7731 3415. Email: info@mortarandmilk.com. I’m all for facials! I enjoy it so much! and you are right to say that it may be an unnecessary expense but if you want beautiful,glowing skin, you have to pay the price. It pays to be beautiful. I’ve had a great read! Cult Beauty: £10 off your first order (or new account) when you spend £50 or more, plus free shipping and samples. Space NK: £10 off your first order (or new account) when you spend £40 or more, plus free shipping and samples.